This year’s International Association for Great Lakes Research (IAGLR) conference in Detroit, Michigan, was the most attended IAGLR conference ever, and IISG helped organize one of its popular sessions. Sarah Zack, pollution prevention specialist, and Carolyn Foley, assistant research coordinator, along with Melissa Duhaime, a microbiologist at the University of Michigan, co-chaired a session titled “Plastics research in the Great Lakes: identifying gaps and facilitating collaboration.” This session was well-attended throughout the day, with as many as 70 people there for individual talks. “While research on the effects of plastic contamination in the oceans has been building for some time, similar knowledge in freshwater systems is lacking,” said Zack. The talks in this session brought together recent studies, including citizen science initiatives, from the Great Lakes and beyond, looking at prevalence and impacts of plastics in waterways as well as some possible solutions to plastic contamination. IISG hosted a discussion at the end of the day focused on microplastics, which are particles that are less than 5 millimeters in size, which is smaller than a pea. 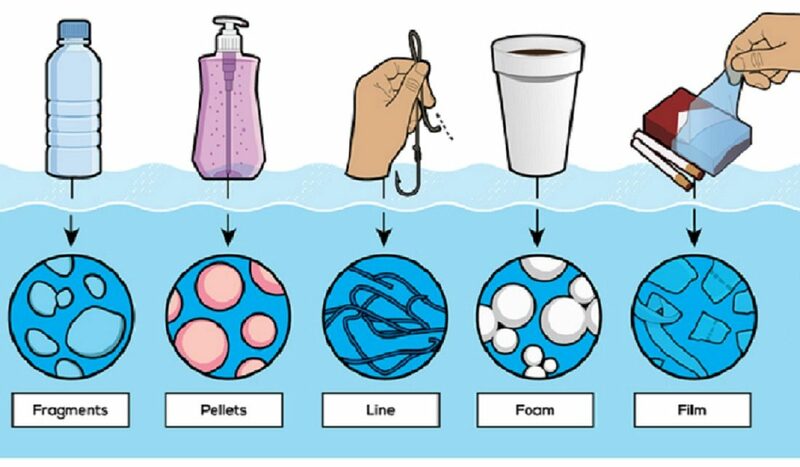 Microplastics, including beads, fragments, or fibers, are a major concern in the Great Lakes, as effects on fish and other members of the food web are not well known. More than 20 conference attendees stuck around after a long day of talks. Fueled by snacks provided by Alliance for the Great Lakes, they shared their thoughts on microplastic-related datasets available to researchers and outreach specialists, defined the data that is needed to better understand the effects of microplastics in the Great Lakes, and listed organizations who are leading efforts to address this issue. “Conferences are a great time to bring scientists together to brainstorm about the next great idea and to figure out where research gaps can be found,” said Zack. Together with IISG Program Leader Laura Kammin, the session co-chairs have authored a report summarizing the results of the discussion period. Plastic research in the Great Lakes, which also includes a list of presenters, is now available on our website.